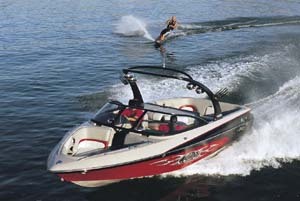 The smallest model in Malibu’s Wakesetter line is also one of the most versatile. 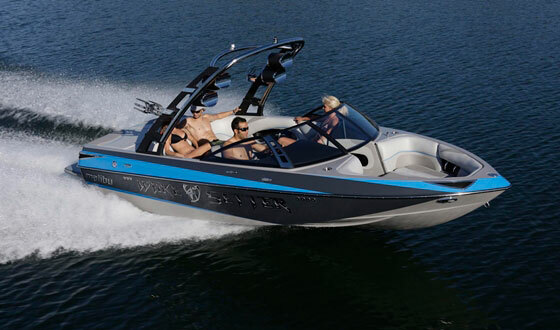 The trend these days in the V-drive wakeboard boat market seems to be “bigger is better.” That’s understandable. Big is immediate. Big is obvious. But a wakeboard boat doesn’t need to be bigger to be better. 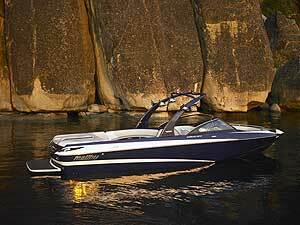 Sometimes the classic 20-foot inboard is the right call, which is certainly the case with Malibu’s Wakesetter VTX, a tight little package that does everything larger models do. It also can do some things its larger brethren cannot. 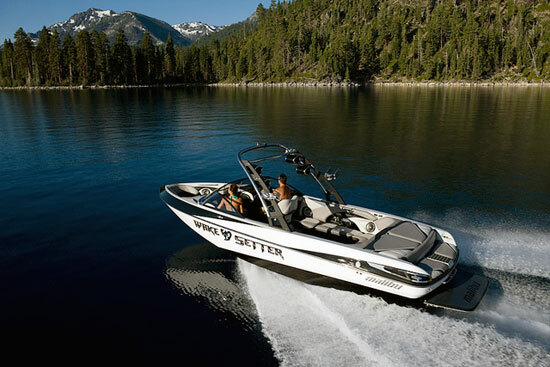 At just 20 feet, the Malibu Wakesetter VTX can handle a big variety of towing assignments. 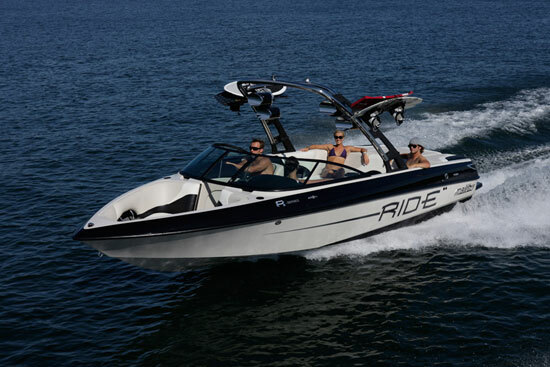 For example, when fitted with the optional 3DVTX Cut Diamond hull, you can satisfy a big variety of riders among family and friends, whether they like wake-surfing or wakeboarding. That hull option, combined with a relatively modest 3,300-pound weight, also makes the Wakesetter VTX a viable slalom boat, with buttery soft wakes you can slice through on the edge of a ski. 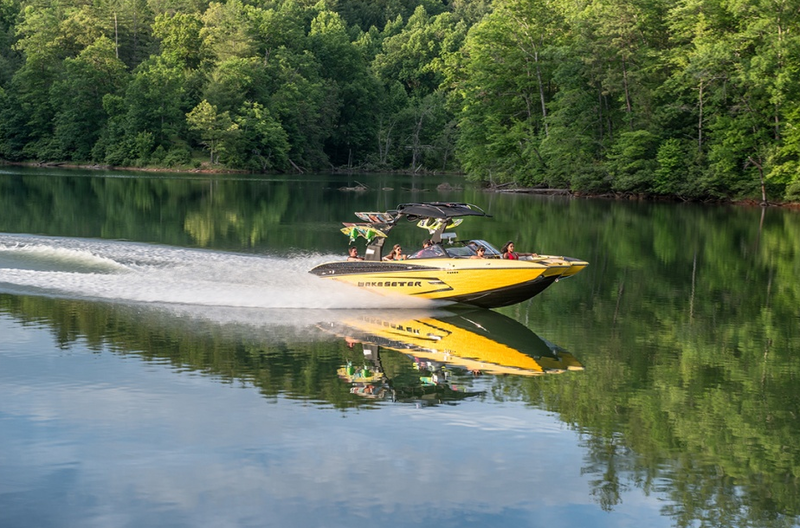 “The Wakesetter VTX and the 3DVTX is the industry’s most versatile wakeboard boat, with a garage-fitting size and the potential for professional-level wakes in every discipline, including slalom,” said Amy Mauzy, marketing director for Malibu Boats. On the dash, Malibu Touch Command controls everything from ballast functions to lighting and ignition. Like its larger stable mates, the VTX comes standard with an Illusion G3 gas-spring-assisted wakeboard tower and a pair of Titan slide-off spinner combo racks to make stowing and accessing boards easier. And because of the boat’s length and the tower’s folding capacity, you can stash it in your garage on either a single- or a dual-axle trailer. 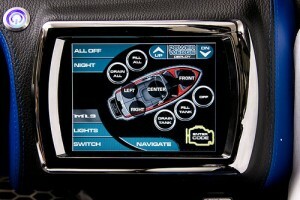 The MaliView dash system is also optional, but all 2011 models include the Malibu Graphical In-Dash display and Malibu Touch Command as standard features. Granted, the optional MaliView is oh-so-cool, but the In-Dash display does include digital readouts for the standard cruise control, ballast levels, air and water temperature, as well as depth, settings for the optional Power Wedge, and service reminders. Malibu Touch Command is the company’s newest switching system, and features the same touch technology used in Apple mobile devices. MTC controls boat function like ballast, the bilge blower, lighting, and even the boat’s ignition switch. No keys to forget or fall overboard. Malibu offers a lot of options on the VTX, but the boat does come standard with ballast tanks in the stern and amidships. 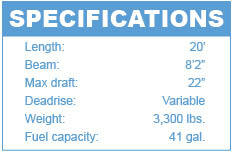 A bow tank is optional, which creates up to 1,250 pounds of ballast weight. A flip-up driver’s bolster is standard, as is deck carpeting, a removable dinette table for the cockpit, and a 60-quart cooler. If you don’t want to spring for the optional heaters, you’ll appreciate the walk-through wind block beneath the windshield. Great for chilly mornings and dusk cruises. A bimini, which really should come standard, is another option. The standard engine, Indmar’s 5.7-liter 350-horsepower Monsoon is more than ample for the 3,300-pound boat. 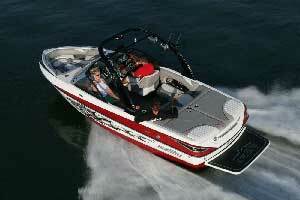 It’s notable because most standard tow boat inboards are usually closer to 300 horsepower. If you must have more power, it’s available in the form of the L96, a V8 based on General Motors’ versatile LS engine architecture. With variable valve timing for excellent low-end torque and top-end oomph, the L96 makes 410 horsepower. More power than you need is usually a good idea, but in this case the standard engine should provide more than enough. Base MSRP is $67,185, which does not include a trailer, tax, freight, or dealer preparation. Changes for 2012 are expected to be minimal, but details were not available at deadline. Forget the trends. 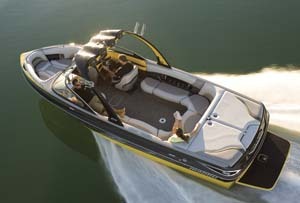 The Malibu Wakesetter VTX is proof that the bigger/better axiom doesn’t always apply. At 20 feet, it’s quite possibly all the tow boat you’ll ever need. 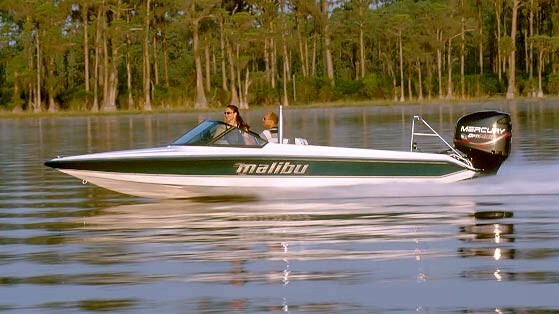 For more information, visit Malibu Boats.